My old man used to tell me "If you don't have anything nice to say, don't say anything at all". Looking back I don't think he was referring to fishing reports but I haven't posted one in a few weeks. So, I'm sitting here in front of my computer and find there is a lot to talk about. Our weather has been much nicer than earlier in the month. Air temperature is very comfortable. Now we are just getting a breeze and conditions have been fishable. The water is 70-71 degrees and clear. Bait was puddled up in volume but as the moon became full it seemed to dry up. Now as the full moon passes I'm starting to see bait again. 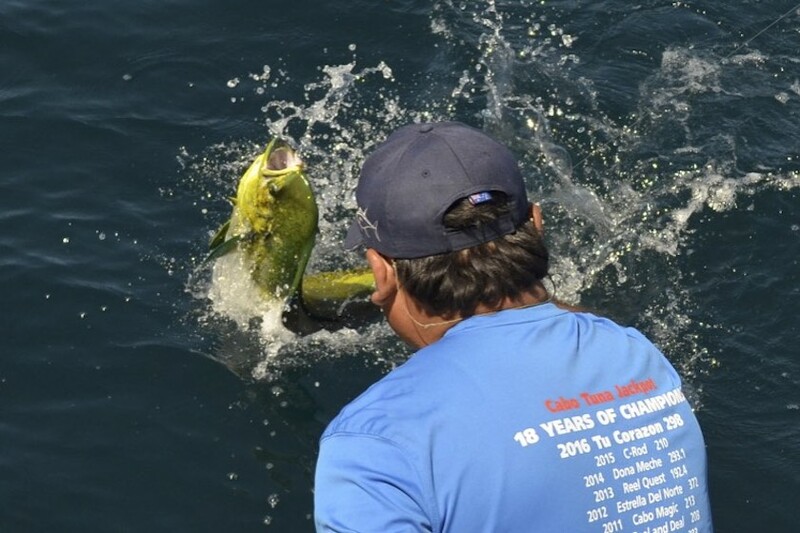 I don't believe moon phase has much impact on our summer fishing but in the winter there are bigger tide swings. That is my only explanation for why we can't get 'em to go right now. 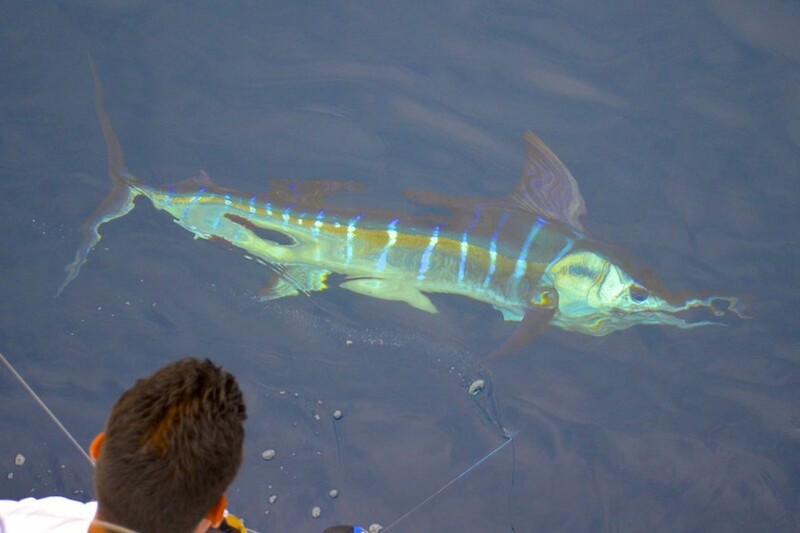 We are sighting dorado, wahoo and marlin everyday. Seeing and catching are two different things as it has been mostly show but no go. The good news is the groceries are here. It is just a matter of time before they get hungry and rods start to bend. 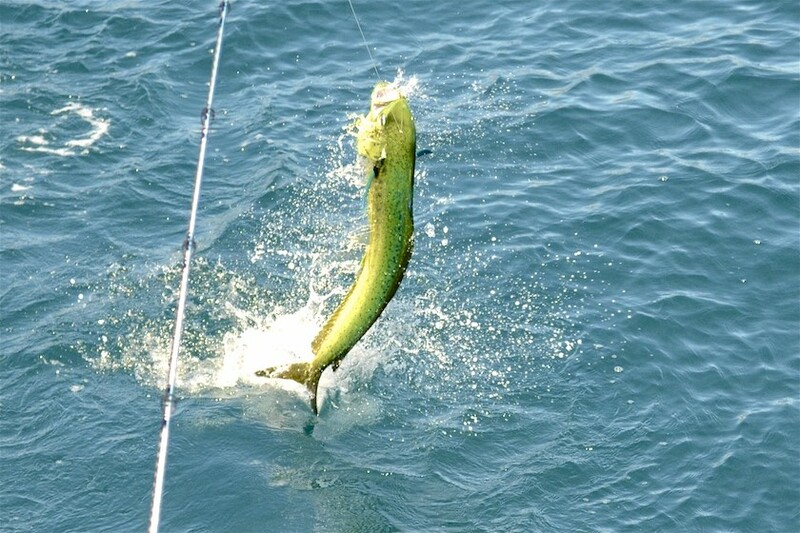 My bet is one more week and we will be knee deep in gamefish. On the Jen Wren front we have more than our share of mechanical problems. Started thinking last night... We aren’t even really operating for the season yet and had a new turbo stud break. Had to drain the coolant, remove the exhaust, remove the turbo, extract the broken piece, replace the gasket and install the turbo. Next we had a new high pressure fuel pump leak. Had to remove the raw water pump, R & R the fuel pump which entailed fuel lines, o-rings and what not. Then, we had a new torsional coupler that attaches the transmission to the motor fail. Had to dis-assemble the dripless shaft packing, separate the shaft coupler, push back the transmission, replace the torsional coupler and put it all back together again. Next, the rubber plug went missing on JW lll trailer hub and the bearings filled with salt water. Now I’m scratching for bearings and seals to repair it. Lastly the the electronic processor on the throttle control of Vaquera went south. Repair is above my pay grade but I was able to get it diagnosed. The boat has to come out of the water and go out of service while we get a new processor. I haven't been able to get a boat to operate for more than two days without having to pull it out of the water and do a major repair. None of this had to do with wear and tear or lack of maintenance. I guess it is just our time to pay the piper. The bright side is we are getting all the kinks out now before our season gets in full swing. 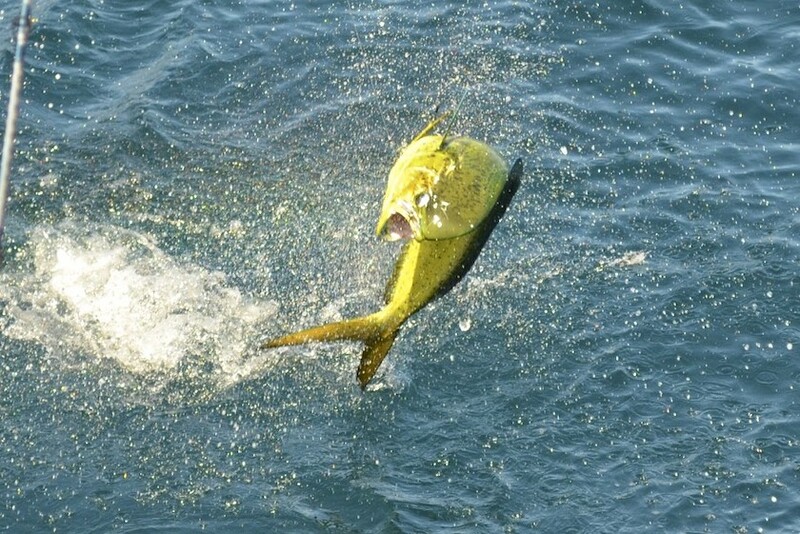 Dorado all up and down the East Cape shoreline. Seakeeper, words can't explain how the gyro removes Vaquera's boat roll. 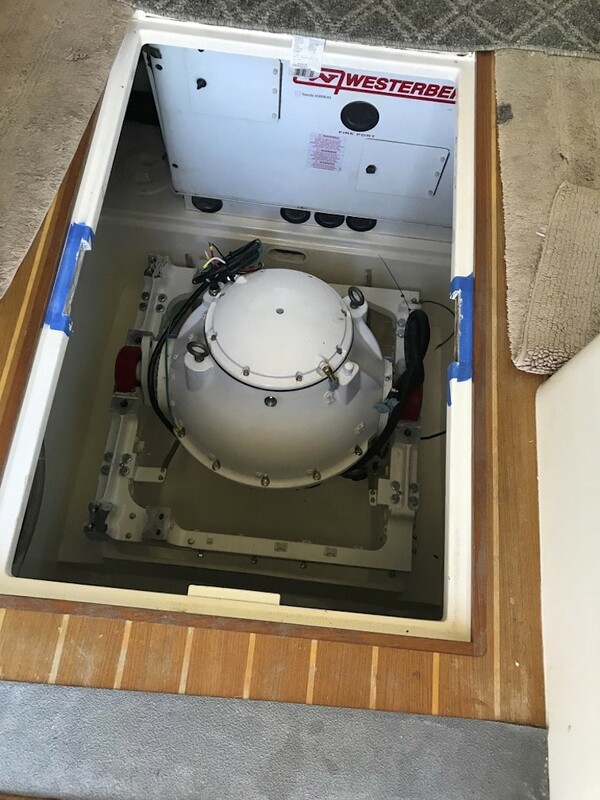 She is the only boat on the East Cape and only Cabo 35 on the planet with this amazing equipment.